Today is truly a landmark day in Agori Tribe history. 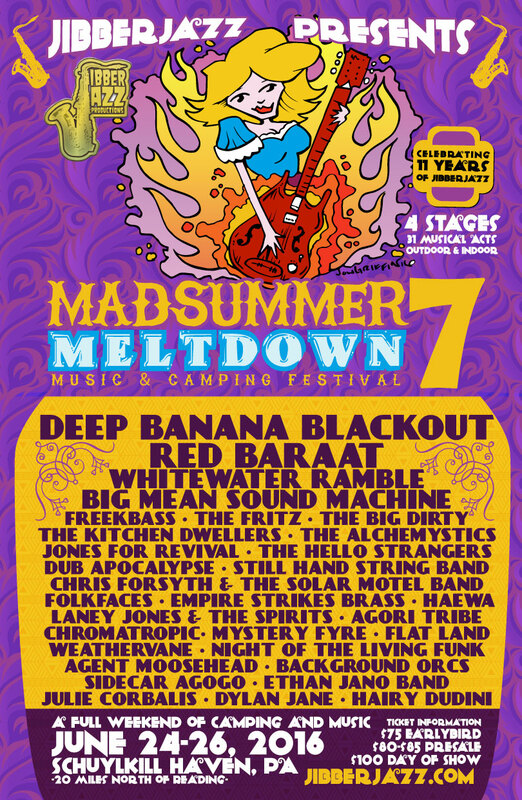 The boys have been invited North to play at Jibberjazz Productions‘ Madsummer Meltdown 7 in Schuylkill Haven, Pennsylvania! While this is the only date currently announced for the band, we’ll be basing an entire two-week tour of the Mid-Atlantic around this festival booking. It’s time to show the world how we do it in Memphis! This entry was posted in Agori Tribe, Festivals, Just Announced and tagged Agori Tribe, Featured, Festival, Festival Season, Jibberjazz, Jibberjazz Productions, Live Music, Madsummer Meltdown, PA, Pennsylvania, Rock, Rock & Roll, Schuylkill Haven.